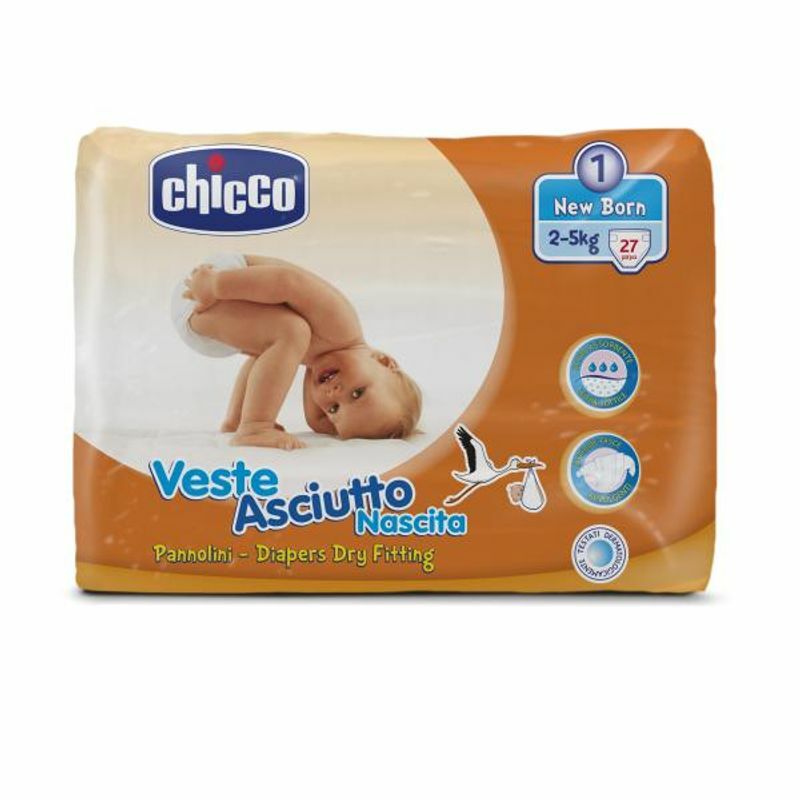 Veste Asciutto diapers are a simple and comfortable solution while changing. Chicco diapers are slimmer and easy to wear and they allow the baby to move around freely whilst guaranteeing maximum levels of absorbance. It helps to reduce the heat and sweating which prevents rashes and irritation. The fabric-type external lining is breathable which keeps the baby's skin perfectly dry. The practical wings gently protect the baby, the soft side barriers prevent leaking and gently but firmly adapt to the baby's legs.